Opera has just added support for push notifications. 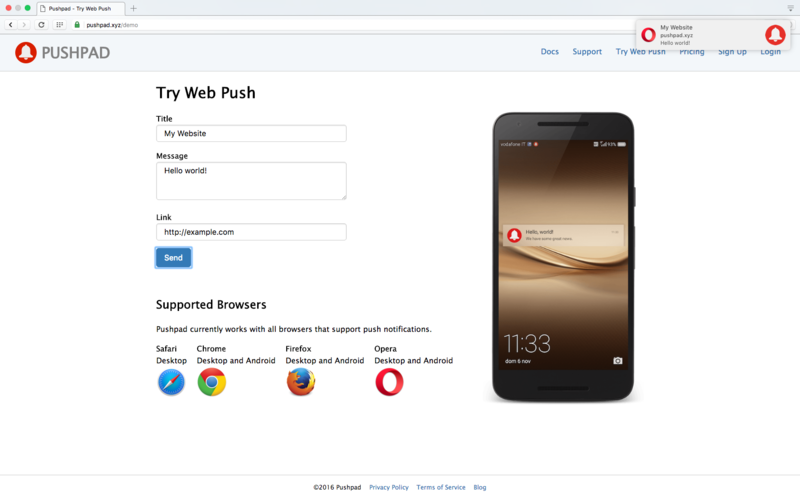 This means that Pushpad now supports one more browser. If you use Pushpad, you don’t need to take any action: push notifications will just work.